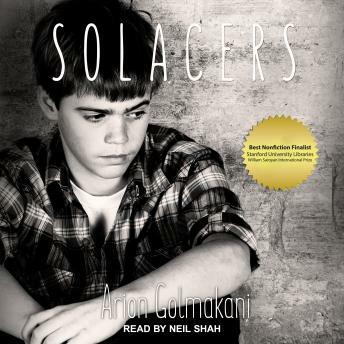 Solacers tells the touching story of a boy's search for family life and safety following the divorce of his parents in Iran during the 1960s. The first child of a heartless father and a discarded mother is left to fend for himself on the streets of Mashhad, seeking food and shelter wherever he can. His lonely early years are an unbelievable tale of cruelty and betrayal on the part of nearly everyone who might be expected to help, save for one aunt who does her best to keep him from starving. But living a harsh and solitary existence has one advantage for this little boy: other than forcing him to be self-reliant, no one attempts to indoctrinate him on rural Iranian society's archaic cultural values and religious beliefs. And so he never accepts his wretched state as fate, choosing instead to dream big dreams about getting an education, having his own family, and starting a new life-possibly in the faraway land called America. He makes a plan and by the age of seventeen he boards a plane to the land of possibilities, where his dreams eventually also take flight.